All Sun Village. KIOWA VILLAG homes currently listed for sale in Surprise as of 04/23/2019 are shown below. You can change the search criteria at any time by pressing the 'Change Search' button below. 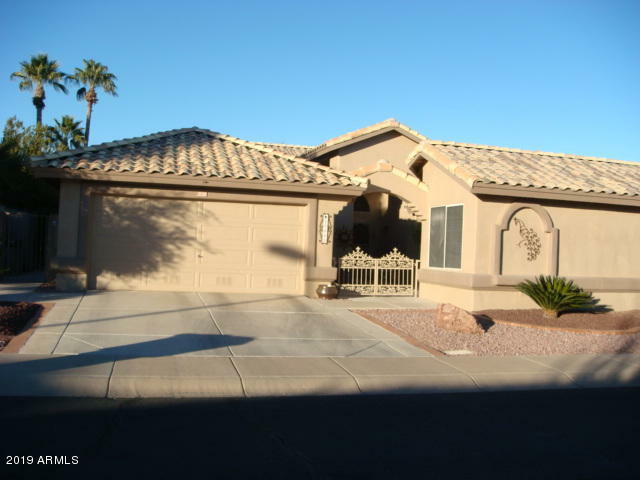 "GOLF COURSE VILLA WITH GATED COURT YARD ENTRY & CASITA.1684 sq ft main home + 296 sq ft casita. Vaulted ceilings and extensive covered patios--all enjoy the perfectly manicured, low maintenance back yard and Sun Village Golf Course. 3 bedroom, 3 baths with fenced perimeter. New black stainless stove, microwave, refrigerator. Tile and carpeted floors. Custom paint inside & outside. Updated Casita has tile floors, built in cabinet with microwave and refrigerator. Oversized master bedroom.Sun Vill"